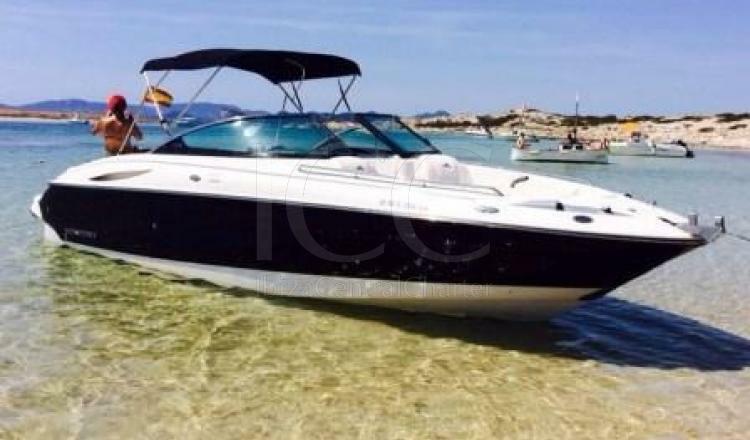 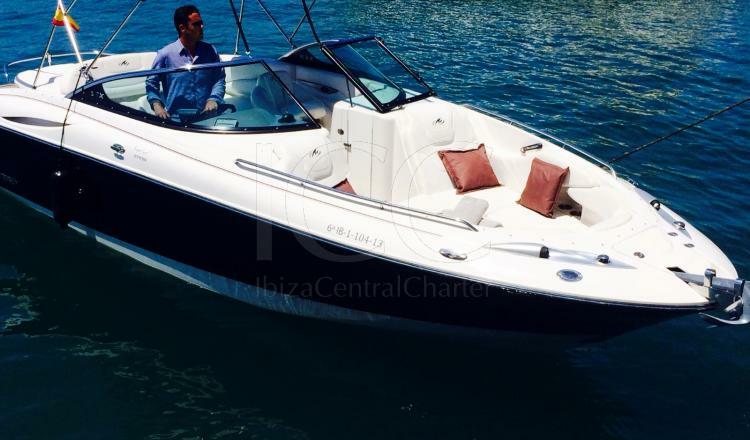 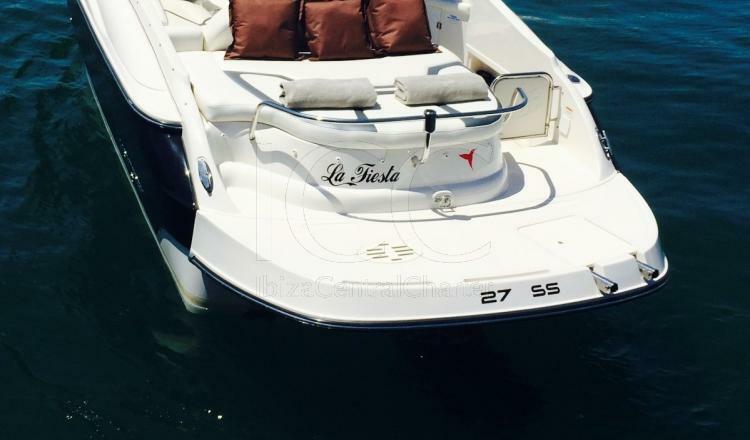 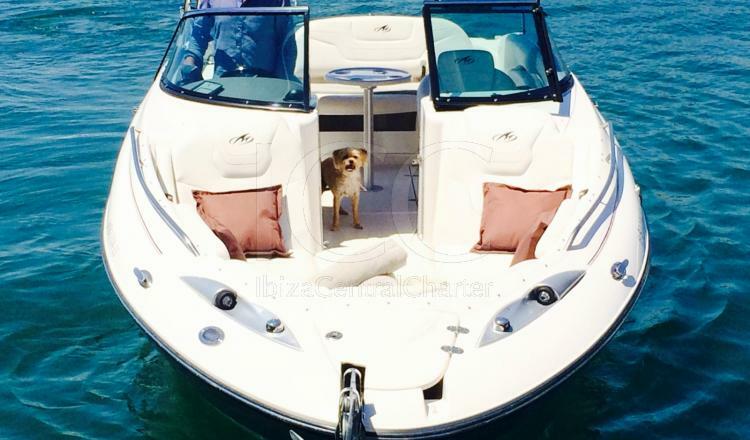 Monterey 278 Super Sport is perfect for getting close to the sand and rocks of Ibiza and Formentera beaches due to its small depth, which allows you to reach places where other larger boats would be impossible to arrive. 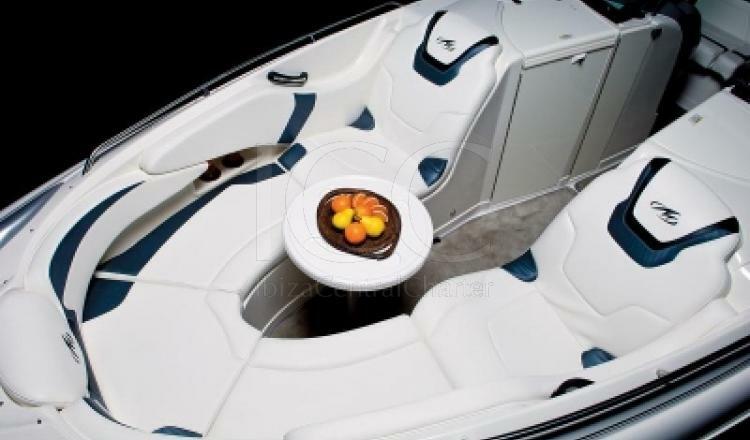 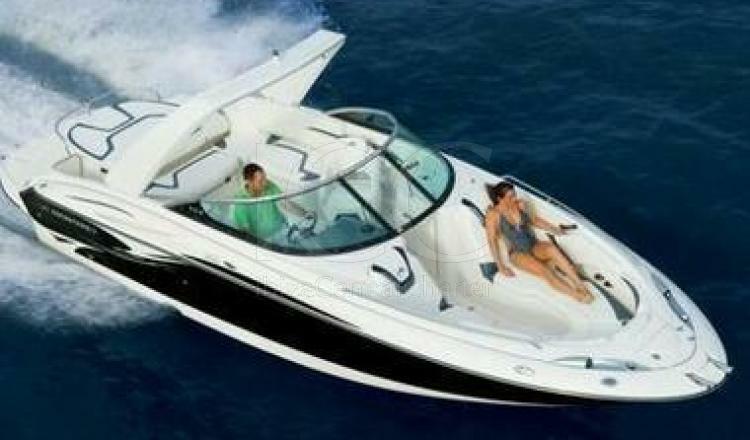 Monterey 278 Super Sport is a sports motorboat with capacity up to 8 people perfect for spending the day at sea. 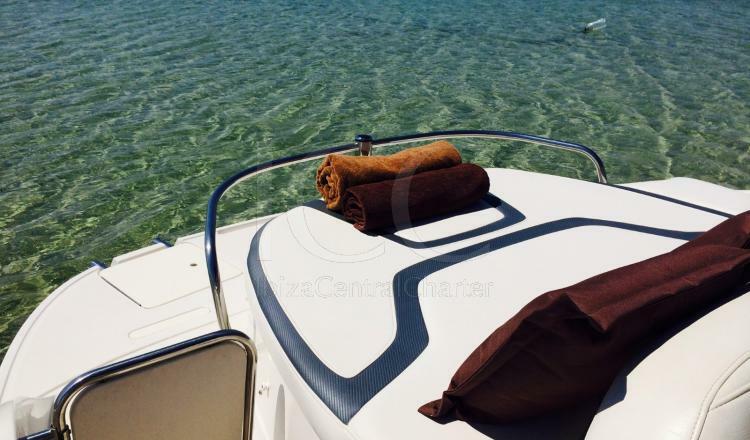 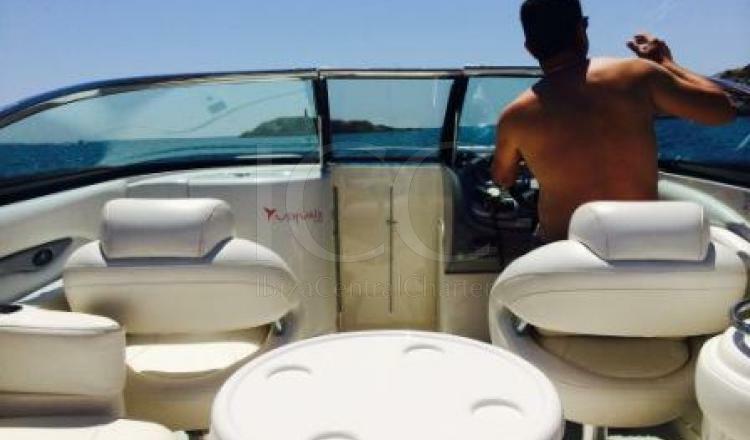 If you are in possession of the PER qualification, you are a lucky person who have the requirement to be able to sailing without skipper and you will be able to check by yourself the easy handling and the good maneuverability that Monterey 278 Super Sport offers you when navigating. 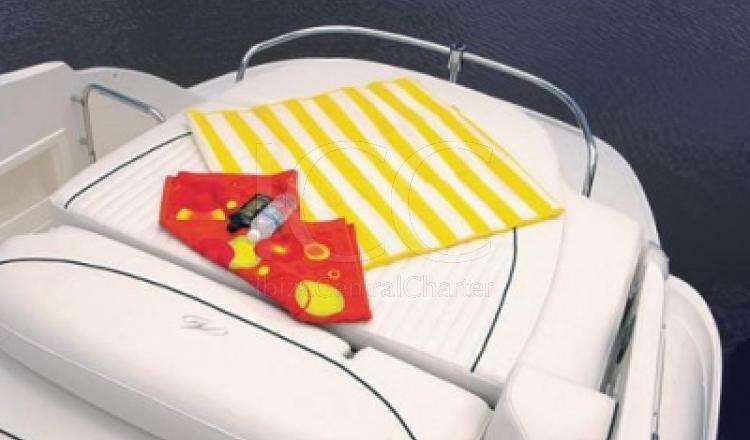 Characteristics that make the difference from this boat to others when spending a day at sea are the swim platform that will facilitate access to people with reduced mobility or children, bimini to protect the sun if necessary and its padded seats to make the trip a comfortable and safe trip.